JUST LISTED! 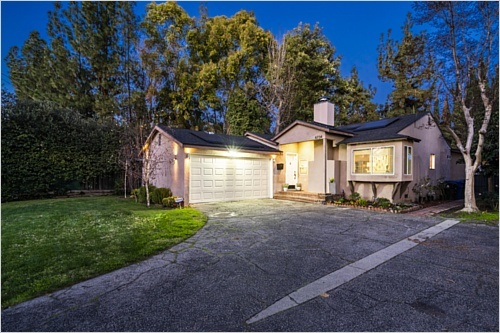 Your Dream Home Awaits in Reseda! Sitting in a quiet neighborhood of Reseda lies this beautiful single story home fully equipped with energy efficient solar panels, custom built-ins and 5 speaker surround sound! Enter this charming 3 bedroom, 2 bath entertainer's dream to find an open floor plan with wood floors, crown moulding, and natural sunlight that radiates throughout. With an attractive wood-burning fireplace and mantle, double pane sliding windows, and LED recessed lighting with dimming switches, the open living area is perfect for hosting family and friends! 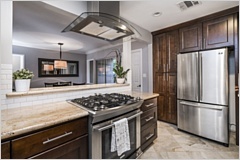 The gorgeous kitchen has top of the line stainless steel appliances, Electrolux range hood, granite countertops, plentiful cabinetry and attractive breakfast counter that conveniently opens up to a lovely dining area. Have a dinner celebration and enjoy direct access to the private backyard which features a patio wired with outdoor speakers and an incredible iridescent glass-tiled pool complete with LED lighting with colorful option modes. 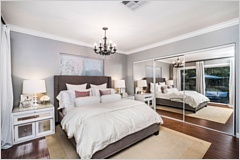 The ultimate master suite spares no expense and includes a custom built-in closet system, large sliding door mirrors, exclusive access to the backyard and it is paired with a full bathroom with luxury finishes. 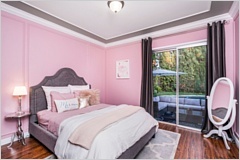 The second bedroom offers an eye-catching accent wall, custom built-in closet, stunning chandelier and bay window ideal for a morning cup of tea! An updated full bathroom follows with granite countertops and long window to expose even more light. 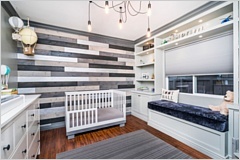 The sizeable third and final bedroom also includes a custom built-in closet and provides direct access to the backyard. 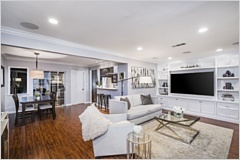 Armed with an alarm system, attached 2 car garage with new dedicated A/C unit and located near Tarzana, numerous parks and shopping centers, this dream home is yours for the taking!